Andres Sarda Swimwear TURACO wire bikini Light. Buy lingerie online. Wire top without padding, specially designed for larges breasts. Positions the breasts correctly. 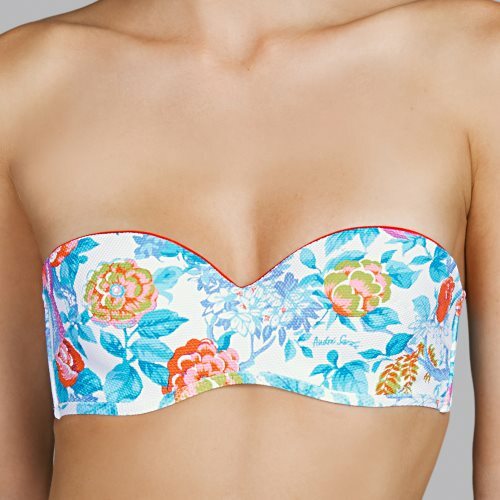 Multi-coloured tropical print on piqué fabric with contrast trim. Fetching turquoise, orange and purple on a white foundation are the standout colours in this series that takes summer to the max.